Back in print in this new Drawn and Quarterly hardcover edition! Lynda Barry's art has never been more rich and satisfying than it is in One Hundred Demons, the landmark 2002 book which represented a formal and stylistic breakthough not only for Ms. Barry, but for the world of comics as well. 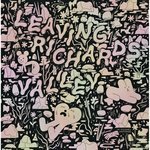 The work she has created for this beautifully printed volume features a layered bricolage that is undergirded by confident brushwork and an intuitively intimate color sense. All of it is solidly welded to an amazing and joyful sense of play in the service of a universalized personal revelation. Taken together, it makes for an unforgettable reading experience. No one has ever done a better job of conveying the bittersweetness of growing up than Lynda Barry. No one has more fully employed the medium of comics to portray childhood and adolescence than Lynda Barry. No one has bored more deeply into personal pain to find the joy that is buried hidden within. One Hundred Demons is a masterpiece that anyone who remembers what it was like to be a child growing up will instantly appreciate. Anyone who has forgotten will be powerfully reminded. As we age our childhood recedes, growing ever dimmer in the distance; yet our characters -- which were forged by those experiences that took place during that childhood -- tend to remain relatively fixed despite the increasing distance from those formative years. 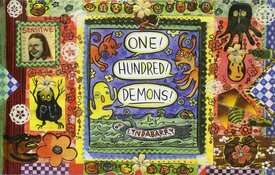 In One Hundred Demons, Lynda Barry demonstrates again and again how our past is always there, hovering just below the surface of our conscious thoughts, pushing our buttons and directing our courses of action, regardless of whether we are aware of or oblivious to this fact. To see what all the fuss is about, get a preview of the material on-line from Salon.com.